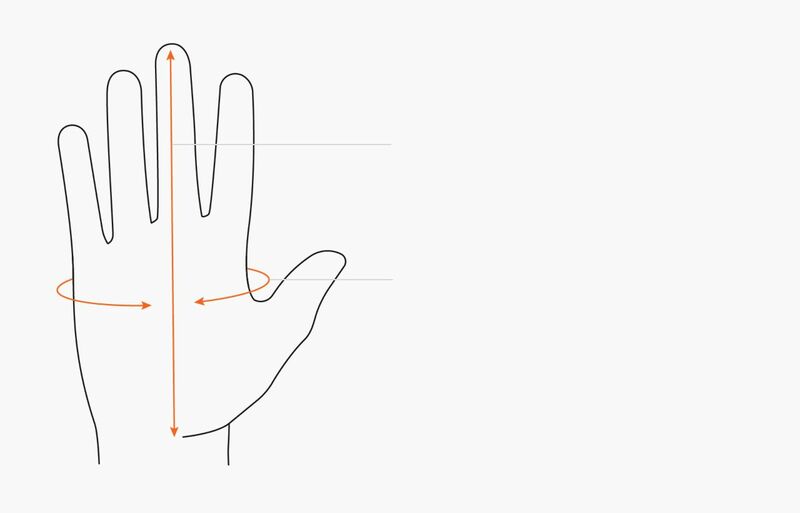 Measure from the top or your middle finger to the base of the palm. Use the chart below to determine your size. If you’re between two sizes, order the smaller size for a tighter fit or the larger size for a looser fit. The Oasis glove liners, made from lightweight 200gm merino wool, give you an extra layer of thermal protection under gloves in severe conditions, and make great lightweight running gloves during shoulder seasons.